There have been various discussions about the benefit of owning arenas lately. Sharks and Eagles etc. The thing I don't think many realise is its not the club that owns these arenas and profits from them as such. The pro club involvement is just a small piece of the puzzle. The pro club doesn't profit from weddings, boxing or shows etc as some have suggested. These events just pay the bills alongside the external community funding these arenas receive. The two most recent ones. Riders and Eagles are actually owned by the Charity/Foundation sides of the clubs. And the clubs become just one of the users of the arenas for training and match nights. The Foundations have to make them break even. And any surplus income created HAS to go back into the Arena or Community. It can't be used to fund a pro basketball team. It's ringfenced etc. The project is being funded by the partners, and Sport England and the Leicester & Leicestershire Enterprise Partnership. LCC owns the site at Charter Street and is providing a long term lease of the site (125 years) to a new company, Leicester Community Sports Arena Limited (LCSAL), owned by the Rider’s charity (Leicester Riders Foundation), with the company paying a commercial rent for the site. The Arena project is designed to allow the potential for the development of future additional facilities on site. The Charter Street site was selected by the City Council following a detailed site selection process. It is noted the location is on a route of Connecting Leicester (to Abbey Park). The £4.8m Project also included remediation of the contaminated ex-gas works site at Charter Street, and the provision of car parking and landscaping. The Arena project build is led by the Riders through LCSAL, with an agreed management and governance structure with the Council and Leicester College. The Arena will be the new home to the Leicester Riders and Leicester Cobras Wheelchair Basketball Club, but will also be a regional basketball centre of excellence. It will serve as Leicester College’s Sport teaching and learning facility, and as a large multi-use sports venue the local community. 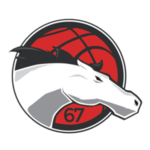 The Arena will be operated with all surpluses re-invested in the Arena, or in sports community outreach activities in deprived local communities, as are already being delivered by the Riders through the Leicester Riders Foundation. Leicester College will use the Arena during term time as part of the teaching and learning offer to all Leicester College learners attending sports courses. And all of the College’s 27,000 students would also be offered access to the facilities through a membership scheme for sports enrichment activities. The new Arena is located at 31 Charter Street, LE1 3UD. The benefits IMO are the basketball club gets a home and the chance to have more control of when they play and train (although I have no doubt when a commercial opportunity is too good to turn down as often happens the arenas have to compromise). In addition these are venues designed and built with basketball in mind. The Foundations have to aim to break even at least . You can see above if they make a profit that goes back into either the Community or the arena itself. They aren't allowed to create profit to be invested in the professional team. Both Eagles and Riders will be paying the Foundations to use the facilities. On match nights some of the ancillary income will be going to the clubs and some to the Arena. These aren't gold mines built and created to make the Pro teams richer. These are great for the community and great for basketball regardless. And great for BBL fans as well. Eagles have pretty much the same partners as Riders. “We are delighted to be working with the Eagles Community Foundation to extend their community outreach activities. Our commitment is to increase participation in sport which we know has lasting health and wellbeing benefits and helps bring communities together. Cllr Ged Bell, Cabinet Member for Inclusive Growth added: “We’ve worked closely with the Eagles in bringing this new stadium forward over a number of years, so today is a significant milestone and testament to the strong and committed partnership behind these plans. The new facility will cater for grassroots initiatives for all ages and abilities, from pre-school community programmes to senior European club competitions and Great Britain international events. And new jobs, training and educational opportunities are among the benefits associated with the ECA development. The project received a £1.1m grant from the Local Growth Deal through the North East Local Enterprise Partnership. Michelle Rainbow, Skills Director at the North East LEP, said: “The Eagles Community Arena project will not only provide opportunities for sports participation but it will create a new facility where the community can access opportunities to learn new skills and enhance their chances for employment. We’re very much looking forward to seeing the project develop over the coming years. Sport England will work alongside Eagles and Foundation staff to deliver grassroots programmes across a range of sports with the ECA positioned as a multi-purpose venue. Sport England’s Director of Property Charles Johnston said: “We’re delighted to support the creation of Newcastle Eagles’ new sports arena using money raised by National Lottery players. “In addition to being a home for the Eagles, it will provide a venue for the Eagles Community Foundation to help thousands of people across the region get more active. Significantly, the ECA will provide invaluable sports participation space for Newcastle College – one of the largest further education providers in the country with more than 10,000 students on campus every day. Tony Lewin, Principal at Newcastle College said: “We’ve worked closely with the Eagles Community Foundation over the past few years on this project and we’re now excited about the opportunities this new arena will create. Construction experts at Esh Group are building the arena for the Eagles Community Foundation. I note it was The Esh Group who were chosen to build the arena. Good for them to get the opportunity having sponsored the team for several years. A good partnership both ways. IRF ... The above stuff is just standard spiel mate... I Imagine the devil's in the detail. Each arrangement is different ... and none of us truly knows what goes on behind closed doors. All we can hope for is that the powers at be are running the club as professionally as possible. i.e. long term stability, free funding (if ya can get it), good marketing and as much sponsorship as you can get. As long as the club is sustainable long term ... who care how they do it ... Winning stuff is good and helps as well !! Bums on seats is good as well ... Not much more I can add !! They are otherwise the two arenas would never have been funded or built in the first place. IRF did you really start a thread then write 4 times before anyone else commented? Well. If any proof was needed when it comes to the Eagles management, they weren't going to do it unless they knew they were going to nail it. I'm not sure that comparing, contrasting or crowing about one arena's ownership/operating model versus any other is actually meaningful. It has to be viewed in the bigger context of whether pro basketball in this country is actually viable in the long-term or whether it can be grown from where we collectively are today. Frankly, I'm not convinced that it is viable and unless there is some serious change I can't see it growing. Maybe Eagles will do really well from their new arena - I really hope they do - but if the rest of the league remains an ever-changing mixture of here today, gone tomorrow clubs, and if the likes of Sharks can't establish a solid base, then it's ultimately going nowhere. For the record, Eagles are not contrasting or crowing. IRF is the one who seems to have the problem, we are just celebrating a landmark achievement. I'm not judging between eagles or riders either. As I've said numerous times I've pointed out to other posters who claimed different that these are Community arenas and the overwhelming aim is to improve basketball in the Community. The fact that clubs can use them to train and play in as an added extra rather than the reason why they were built. And any profits made by the arenas (if profits are made) is for the community not for the clubs. Of course our clubs benefit from them in several ways providing they are run well. Equally they could cost our owners money if they aren't. There are posters on here who want their clubs to have new arenas who support clubs that can't even run smaller operations well. Let alone much bigger operations. I have to agree with Mac, Eagles fans are celebrating owning their own venue, not comparing or crowing. A historic moment for the club and long awaited - so celebrations may go on for a while. Whilst no-one knows the finer details of the business model (well some people do obviously but not the fans) it would appear from DaveF's post (link above) that the Business models of Leicester Riders and Newcastle Eagles are different. Which means that how income generated is used could also be different. As i have said elsewhere I have every faith in Paul Blakes business acumen and the business decisions he makes and as such I have every faith that the Newcastle Eagles business model will be successful. The proof will be in the pudding as they say.....and I hope its a healthy pudding!! I'm the one saying they are similar. I'm not trying to contrast as it happens. The reports on them launching are almost identical in terms of the funding partners. It's ACTUALLY eagles posters on here trying to suggest their model is different/better in some way. I can't see the differences myself. Theyve all got the same partners/funders. Albeit Dave preferred not to call their funders as partners. And as I've now said numerous times my comments were aimed at sharks fans thinking a new arena is the solution to their problems. If you want to show ANY comment I've made crowing that ours is a better model or arena I would be interested to see it? In return I can post several comments from eagles on here suggesting theirs might be a better or different model? Riders are doing ok with ours at the moment I think. Although I believe its been a learning curve and very hard work for all concerned. Hope yours goes as well as you hope. I'm sure it will as you've got a great fanbase and community base to build on. IRF ... If you want validation in your opinions ... your preaching to the wrong people mate. Better ? ... no Eagle fans have said that on this thread. Have you seen me crowing that ours is better anywhere?? Hey IRF. Take it easy mate. You will just have to accept that there might be some people out there that think the Eagles arena is going to be better and more productive than the Riders arena. I know it wasn’t you who was crowing about one arena over the other. But you can’t control people’s thoughts. A four post diatribe in here and multiple massive posts in the other thread aren’t going to convince people if they feel their arena is “better”. I know it wasn’t you who was crowing about one arena over the other. Glad someone noticed. Ive been accused of it more than once above. Nothing in my posts was competitive. Others made it so. This is is a bbl forum and so I can understand why people focus on the benefits to the bbl team rather than the community. But thats not what they are really about. It's a by product that the associated bbl clubs will benefit if the new arena can pay their bills as a community arena. If the arenas can't pay their bills it's the bbl owners who will be having to find money to fund their community arenas and not just fund their bbl club. Even with external funding these arenas can lose money as well as make money don't forget. Like any venue. Theres risk involved and lots of hard work. Weve now got two well managed clubs with shrewd owners that have delivered two arenas to date. If other clubs want the same they will need to be equally shrewd and be equally community focussed to make it happen. The real positive is two owners are helping grow basketball participation in the UK with their arenas. Grasping the bull by the horns etc. With the knock on effect of making their bbl clubs stronger at the same time. It's win win if they make it work. As I feel IRF has mentioned that his comments are mainly aimed at Sharks fans on here and a few that don't know what taking on a new arena undertakes. My reply would also take you back to what has been said before. For whatever reasons the Sharks ARE losing money whilst playing at the EIS. This is simply not sustainable and they have to look at alternatives, moving out and in to 'their own' is an obvious option. They have been at the EIS for a few years now. Whether they once attracted enough of a fan base to make this work and numbers have dropped off seriously enough that bums on seats no longer makes the EIS sustainable or they've been losing money from day one and its only now that's its become critical, I've no idea. I suppose neither is good and both shows that we have problems. However, whereas I am only a fan who can openly chat to management ( praise for them, not me) there is one poster on here that is connected to the club and seems to have more answers than me and a better idea of what is happening. As you would expect. The fact that the sharks are not funding the proposed new build totally themselves and in all of this time have had to wait for other funds and a bank loan is enough to show that it'll not be totally their own. Certainly the very nearby school will be using it as their gym and it will be open to the community. Whys and why for beyond my simple understanding. An arena purely for a basketball club that plays 20 home games max a year wouldn't be remotely financially viable. All you can hope for is a basketball focussed arena that can be used By schools and the community as well as the bbl club to justify the investment and pay ongoing bills. Even then it is subsidised by funding etc. as I've said elsewhere due to the way community arenas are funded even if they make a profit that has to be ringfenced to benefit the community and not the basketball team playing there. A boxing event for example pays community arena bills and doesn't fund riders bbl in any way. Even the English FA at St George's Park had to make their training centre open to the community to make the books balance for them with all their money! Sport England, the local council, local enterprise funding etc will all get involved if a club/sport can show the community will benefit. Without them no chance of making the numbers work for most sports venues at grassroots level. Tbh i don’t blame Sheffield council for not backing this new arena. They have a perfectly acceptable location for the type of activities that would be hosted at the new venue and that is the EIS, which is extremely close to Don Valley, the site of where the Sharks want to build. It’s not gonna happen sadly. Sheffield does not need a new arena/location like that imo. Leicester did and it is thriving because of it. I live in Leicester now. So I’ve seen this first hand. In fact I’m going to see Bill Bailey at the arena in Leicester later this year.